Julie Ferwerda's website | Long Live the Egyptian Revolution! Photo ©Copyright/Courtesty of Tikkun Daily: "tekun–to mend, repair, and transform the world"
If there’s one thing you’ve probably learned from me over the years, it’s how I see the Old Testament as a teaching tool from the natural world of a bigger spiritual reality for us all. Everything in the OT calls out to us a deeper revelation about our God, our faith, and our destiny. Let’s revisit Egypt. If you do a study of Egypt throughout Scriptures, you find that Egypt symbolically represents mankind’s slavery to sin and death. Pharaoh represents our Adversary. He constantly rides our back, keeping us under his brutal control, reminding us of his power over us and our helpless condition. The straw that the Israelites have to gather to make bricks represents the works of the old law that are nothing more than decaying, man-made (clay), toilsome burdens. It bears pointing out that, if God would singlehandedly do this for the Israelites, why would He not eventually do it for everyone? How did God bring the Israelites out of Egypt? It was a revolution of sorts, the overthrow of a powerful mortal ruler through the greater power and might of God alone. This ancient revolution was an announcement, a holy declaration of a future reality for all mankind. Though we haven’t seen the final fulfillment yet, we are all in the process of being delivered from slavery to sin and death, and the merciless dictatorship of the ruler of darkness. Our liberation began with a God-initiated “Egyptian Revolution,” when He raised His Son from the dead, declared victory over death for all time (Is. 25:8; 1 Cor. 15:54-56), and ended the toilsome works of the old law written in stone. This overthrow conquered the finality of death for all, not just for a few, and began writing His Living Word (Jesus) into our hearts in the form of love and justice (see Matt. 22:36-40; Matt. 23:23). “For the anxious longing of the creation waits eagerly for the revealing of the sons of God. For the creation was subjected to futility, not willingly, but because of Him who subjected it, in hope that the creation itself also will be set free from its slavery to corruption into the freedom of the glory of the children of God. For we know that the whole creation groans and suffers the pains of childbirth together until now. And not only this, but also we ourselves, having the first fruits of the Spirit (the first ones delivered ahead of the rest), even we ourselves groan within ourselves, waiting eagerly for our adoption as sons, the redemption of our body.” (Romans 8:19–24). This past January, a national revolution took place in literal Egypt. It was spearheaded and organized via a few young people and a Facebook account (you can view the entire documentary here). Imagine a corrupt ruler overthrown and a whole country changed in a couple of weeks, all from information sharing on the Internet! Could this be a significant declaration in our day, announcing the move of the hand of God to further free us from our bonds of slavery? Only time will tell, but I surely hope what we are experiencing today is another great deliverance from Egypt, perhaps in the way Paul described, the creation being finally set free from corruption, anxious longings fulfilled, and ultimate hope restored. 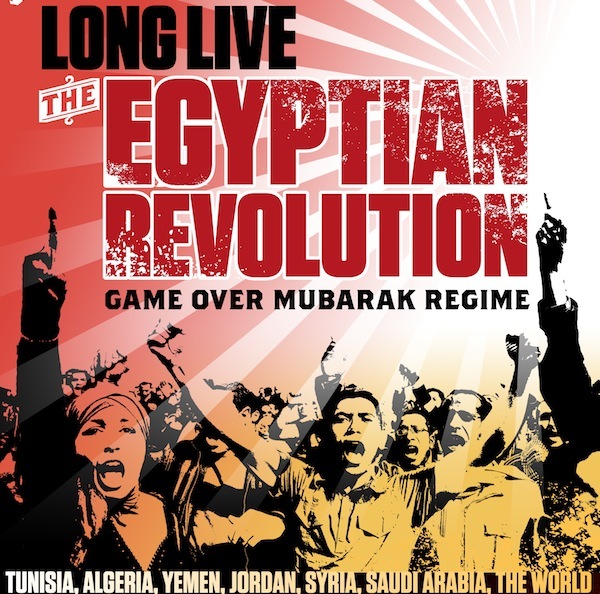 Yes, long live the Egyptian Revolution! It fills me with joy that, through God, all things are possible! Inspiring post! I know, I forget where I first learned of the comparison between the bricks (mud/dirt) and straw, which are nothing more than our attempts to approach God through works. And like you mentioned to me in another conversation, I think this is exactly what Paul spoke of when he said our works would be tested by fire and the wood, hay, and stubble would burn up. It'll be interesting to see where this spiritual revolution takes us to. Many are called, few take the time to find out why, and fewer are actually brave enough to have there core beliefs challenged. I was the kid who always wanted to know why. Keep on writing there are a few of us reading. Thanks.